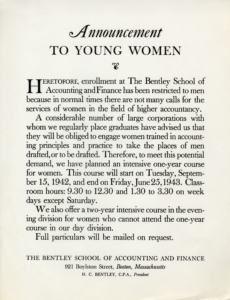 Women are admitted to Bentley when enrollment of men drops during WWI. 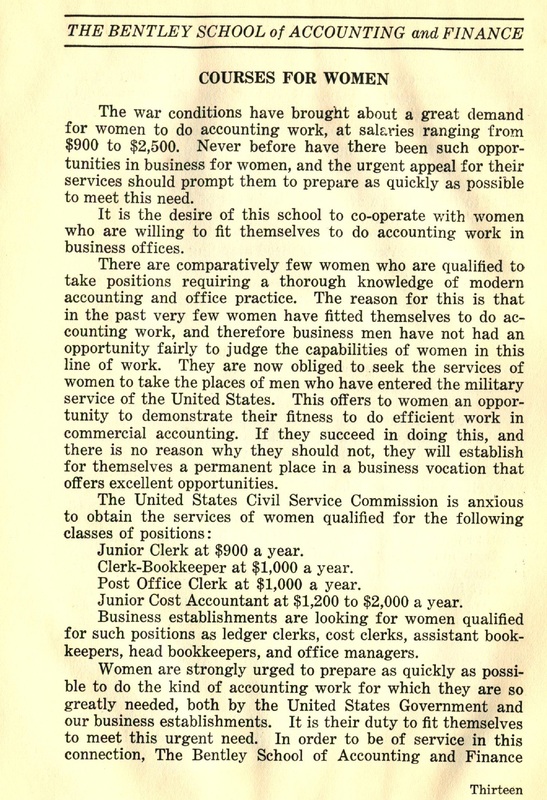 By the early 1920s, enrollment again is all male as the accounting profession was generally closed to women. 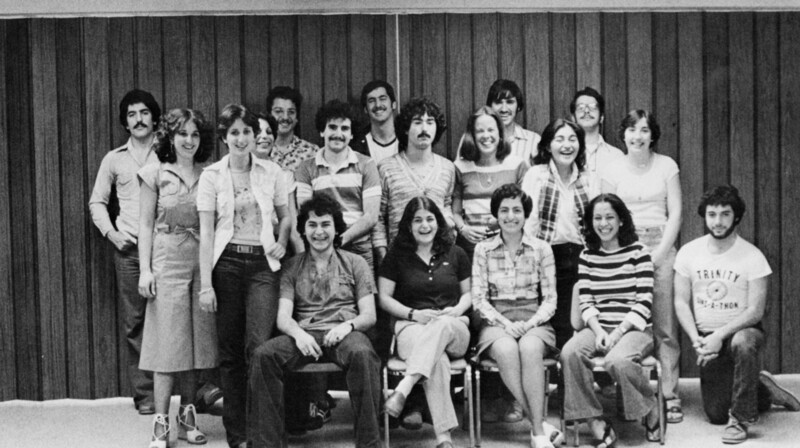 Alpha Gamma Pi, a fraternity, is formed by a group of Jewish students. Francisco Montoya, a student from Colombia, graduates with the class of 1933. 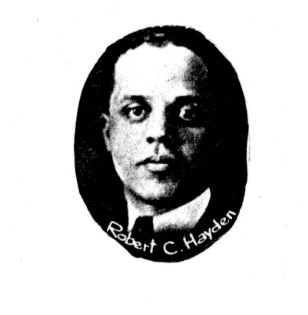 Robert C. Hayden becomes Bentley’s first African-American graduate. 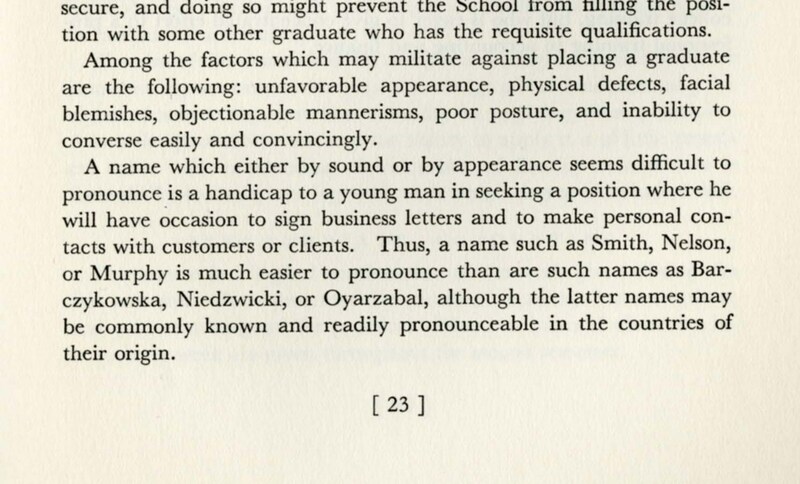 The School publishes a pamphlet encouraging students with “difficult” last names to change them. 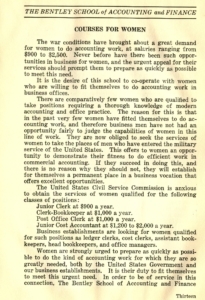 Women enroll again because of declining male enrollment caused by WWII. 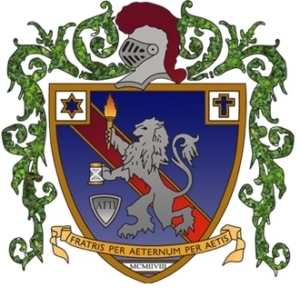 At this time, the school becomes officially and permanently co-educational. 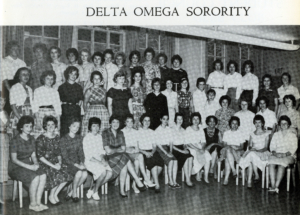 Delta Omega, the first sorority, is established. 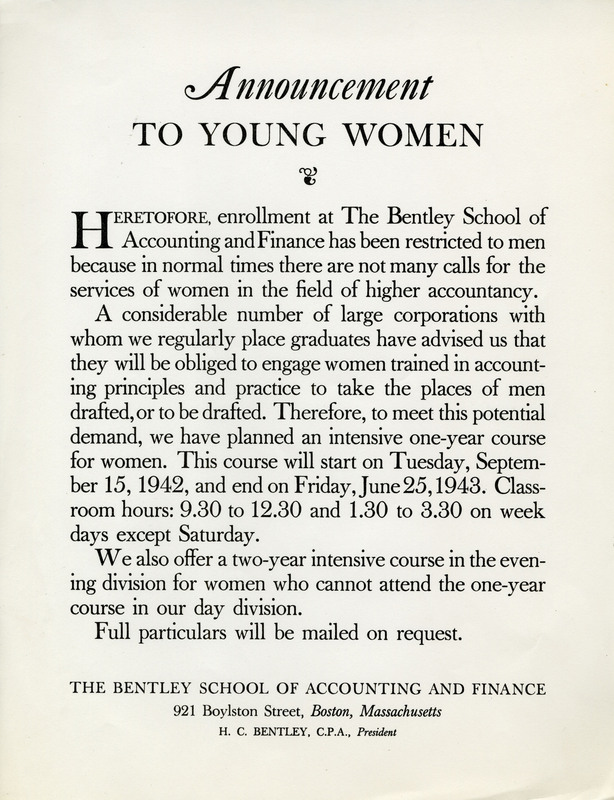 Frances Crawley becomes first female instructor at the Bentley School. 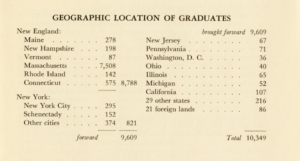 The Alumni Bulletin lists 86 total graduates from “21 foreign lands” among a total of 10,349 graduates. 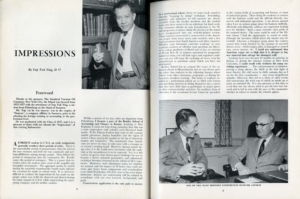 Yap Tuh Ying, a student from Indonesia, enrolls under the sponsorship of the Standard Vacuum Oil Company. 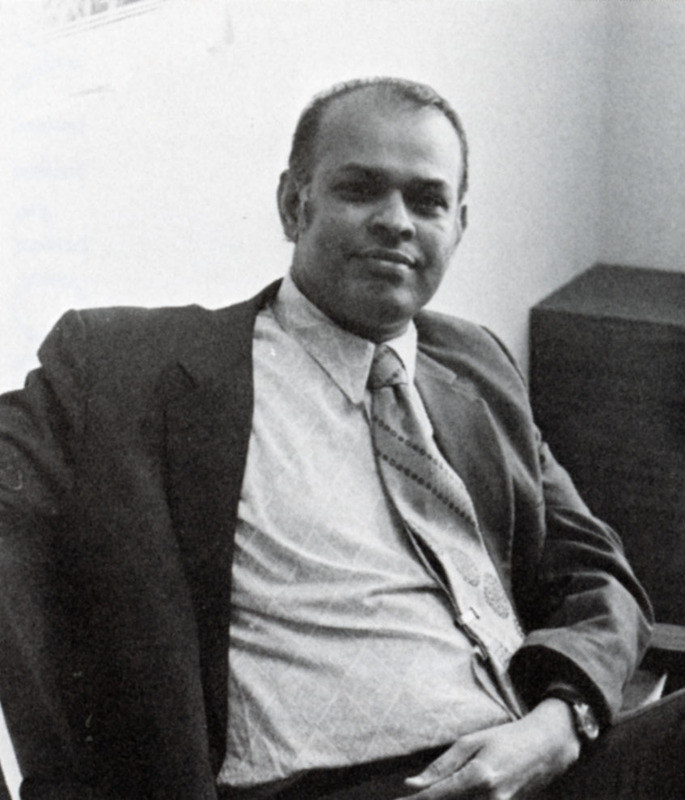 He is thought to be one of the first Bentley students born in Asia. 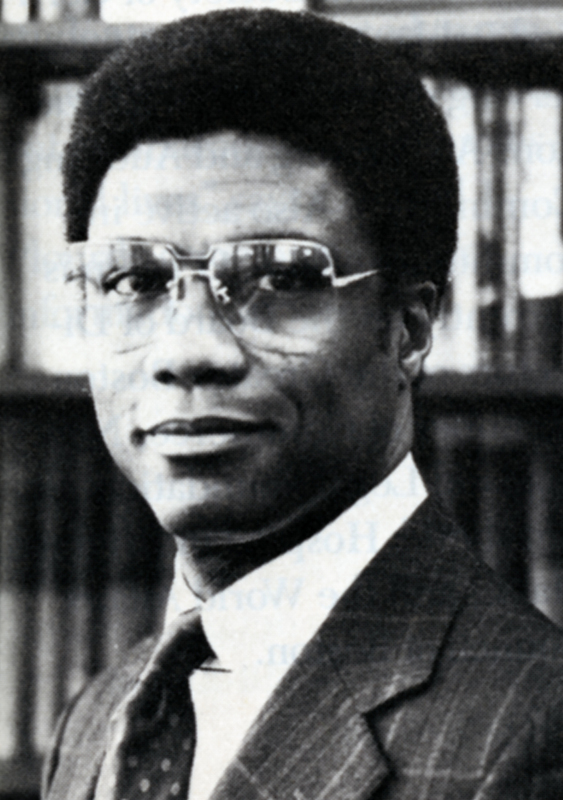 Eldridge L. James, an African-American student, is a member of the Student Council. 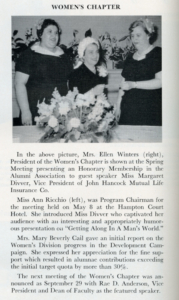 A women’s Alumnae Chapter is formed. 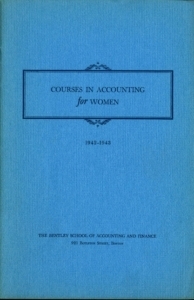 It holds regular meetings with speakers to discuss women’s issues in the accounting profession. 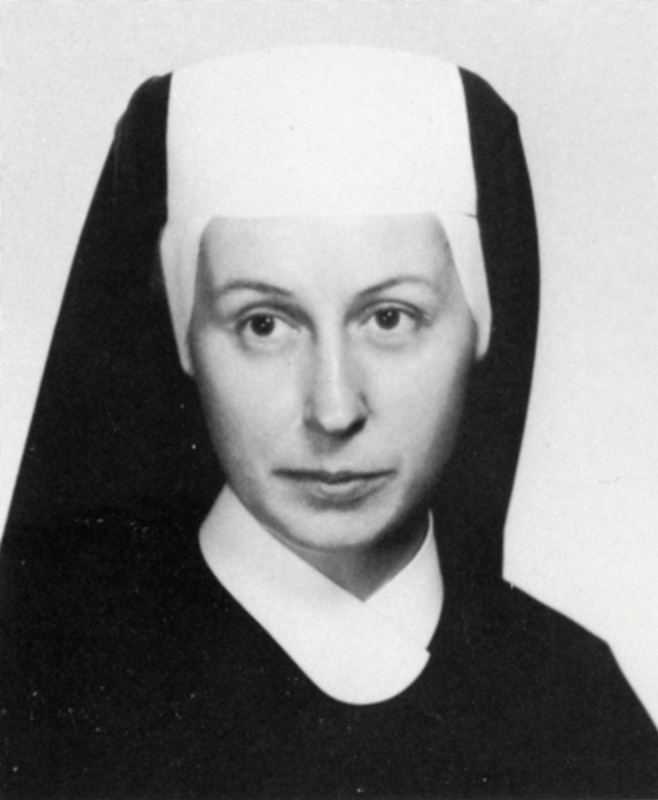 Several nuns, most from the Order of the Sisters of Mercy, attend Bentley to acquire the accounting skills needed to manage their order’s hospitals. 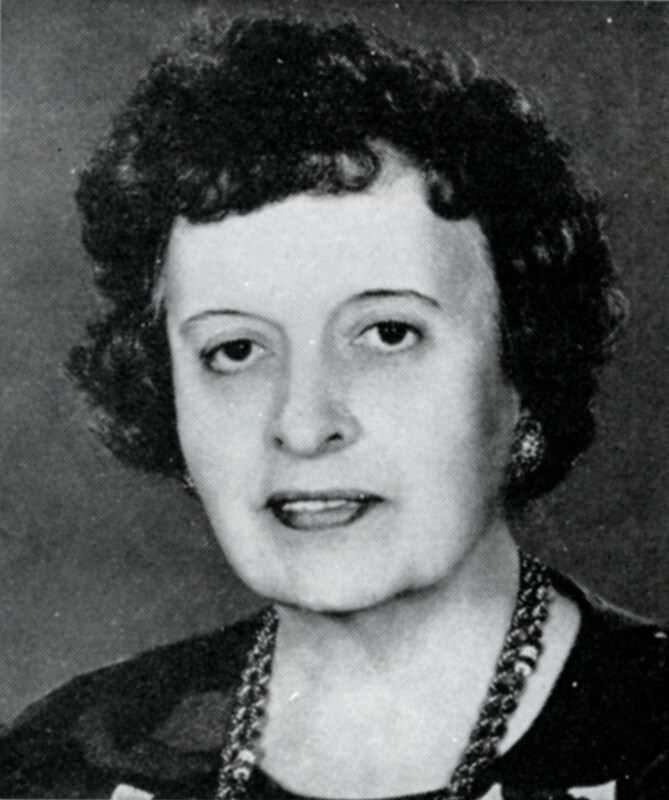 Marion Graham Willis joins the faculty, and in 1962 becomes Bentley’s first full-time female professor and one of the few women to teach on the Boston campus. 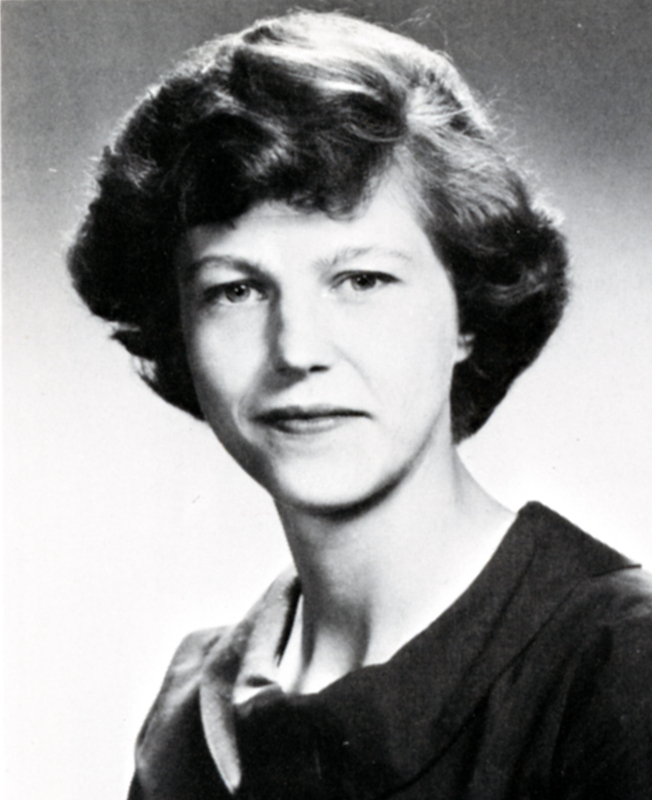 In 1974 she becomes the first woman to receive tenure. 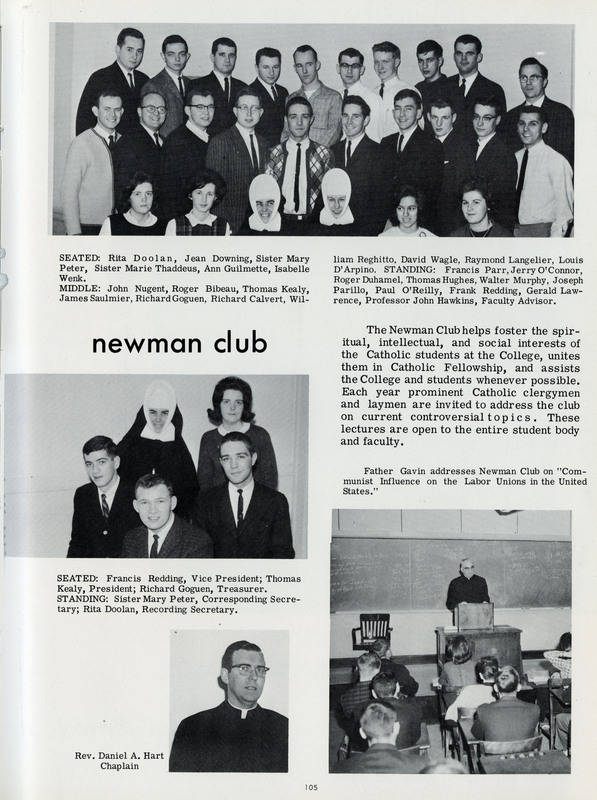 The Newman Club is established to serve the needs of Catholic students. 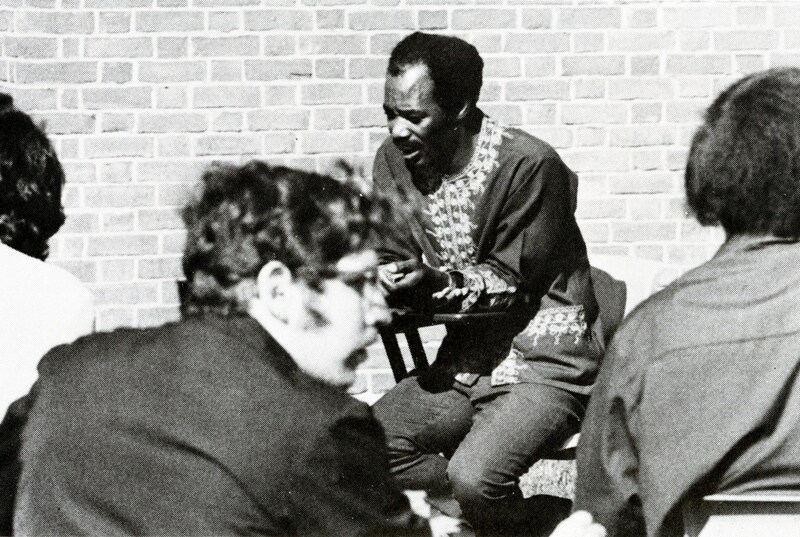 The International Relations Club is formed to foster cross-cultural understanding on campus. 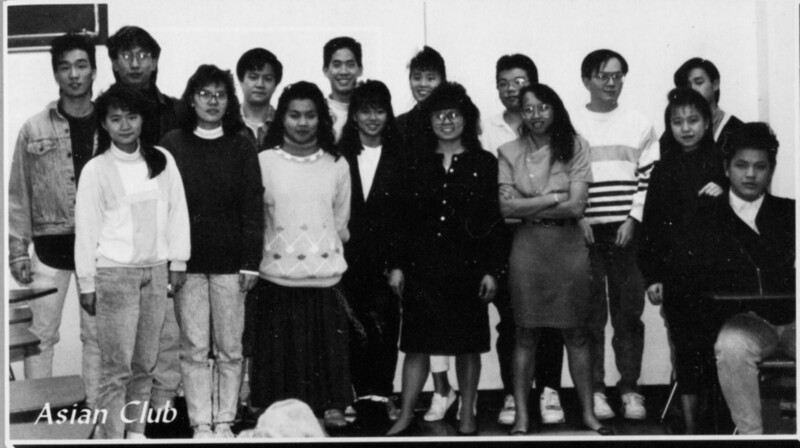 Its membership includes several international students. 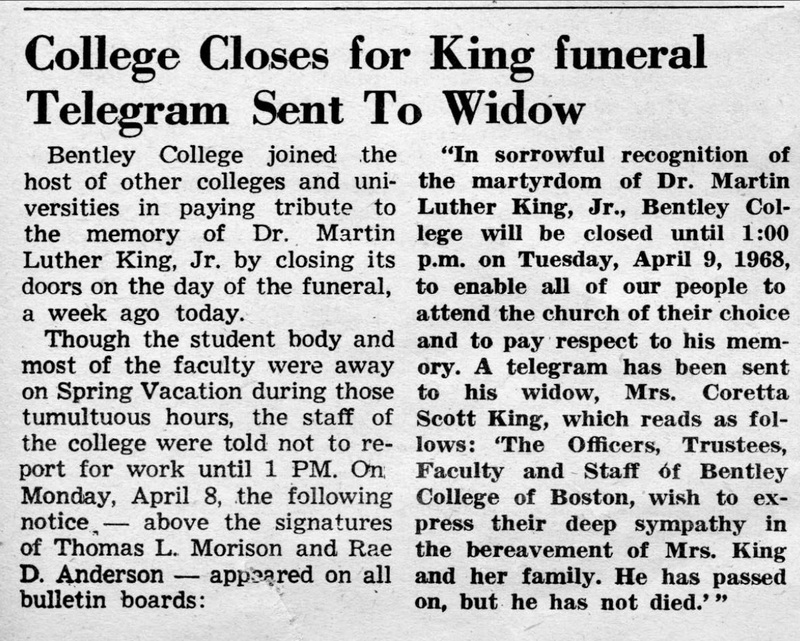 President Thomas L. Morison sends a letter of condolence to Coretta Scott King after the assassination of her husband, Dr. Martin Luther King, Jr.
Alint (Raj) Varughese becomes Bentley’s first professor of color. 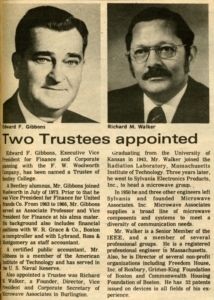 He is tenured in the early 1970’s. 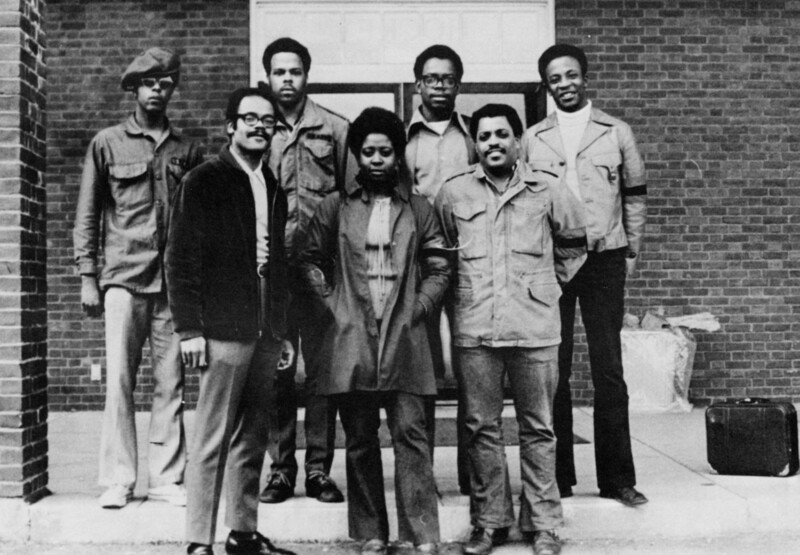 The Black United Body is established, although it initially did not have a name. 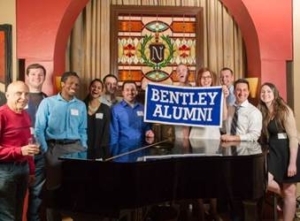 Bentley retains several religious advisors to support the spiritual needs of students on the new Waltham campus. 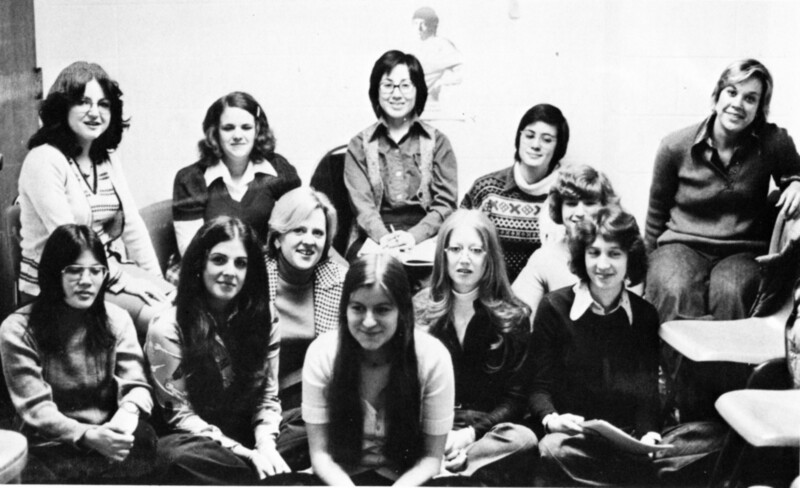 The Bentley Women’s Caucus forms to hold meetings, lectures, and events concerning women’s rights. Olanrewaju J. Fapohunda, originally from Nigeria, becomes Bentley’s first black professor. 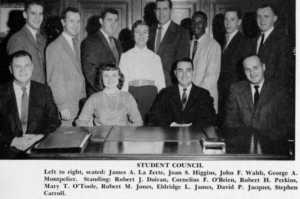 Dorothy Willard becomes the first female member of the Board of Trustees. 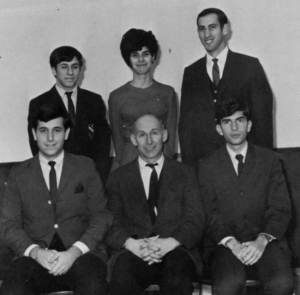 The first planning meeting is held for Hillel, the Jewish Students’ Organization. 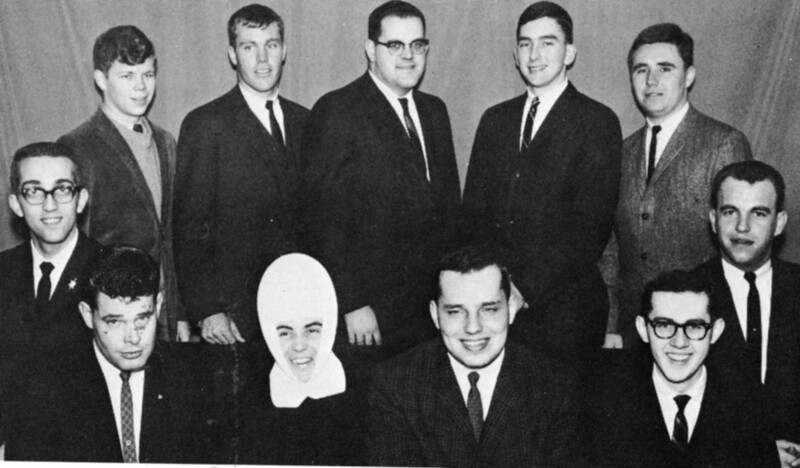 As early as 1967, a precursor organization called “Menorah” was mentioned in school literature. Richard Walker becomes the first African-American member of the Board of Trustees. 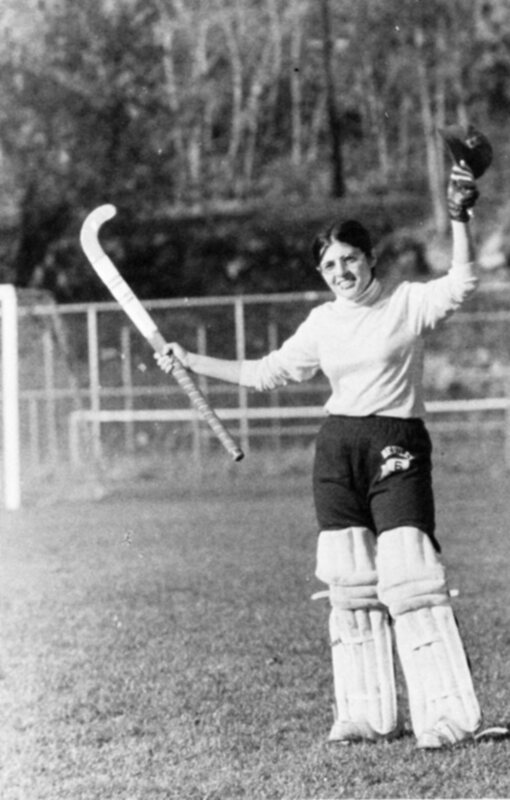 The construction of the Dana Center results in the formation of the first female sports teams. 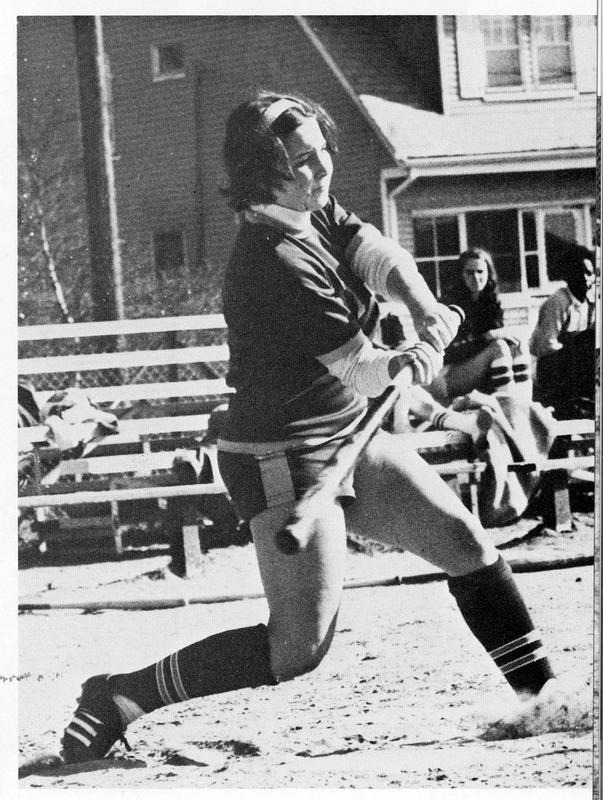 By 1975 women have formed teams for field hockey, basketball, tennis, and softball. 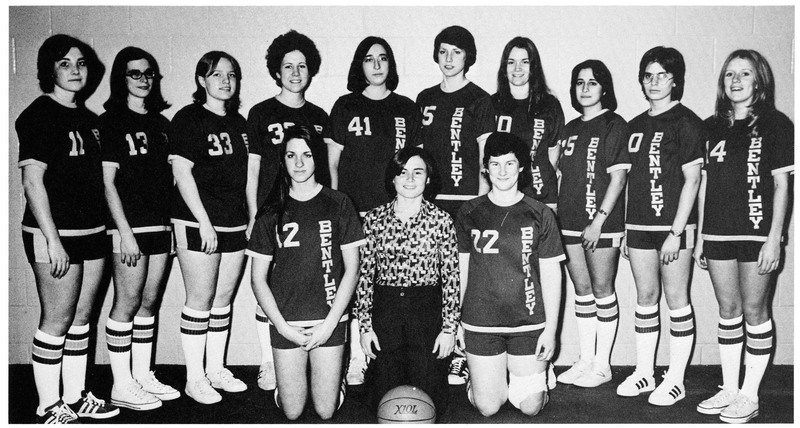 Over 25% of the female student population belonged to one of these fledgling teams. 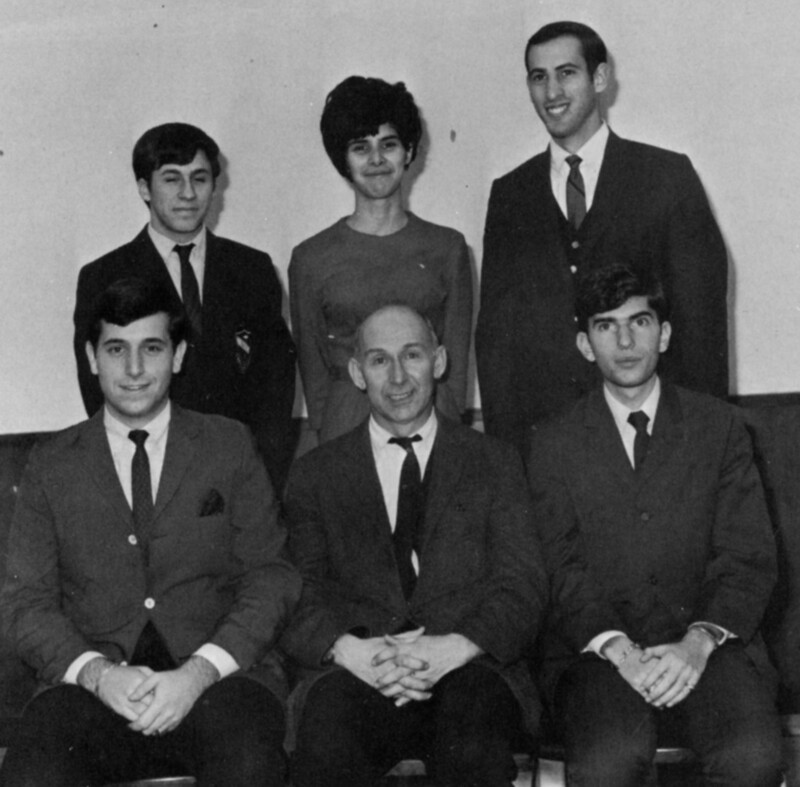 Students form the Armenian Club, due in part to President Adamian’s role in local Armenian culture. 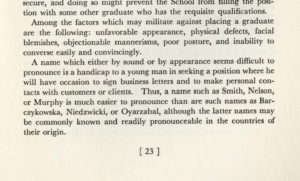 John Lesko responds to students who wrote anti-gay “satire” in student newspaper, becomes the first openly gay faculty member. 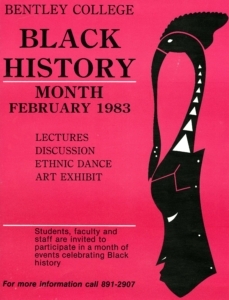 Bentley organizes its first formal slate of activities in honor of Black History Month. 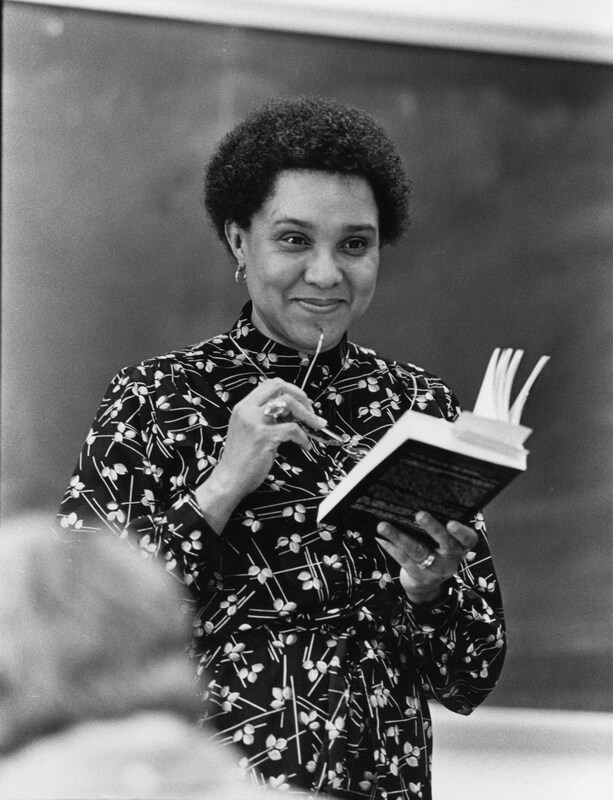 Dr. Barbara Paul-Emile, who joined the faculty in 1980, becomes the first African-American professor to receive tenure. 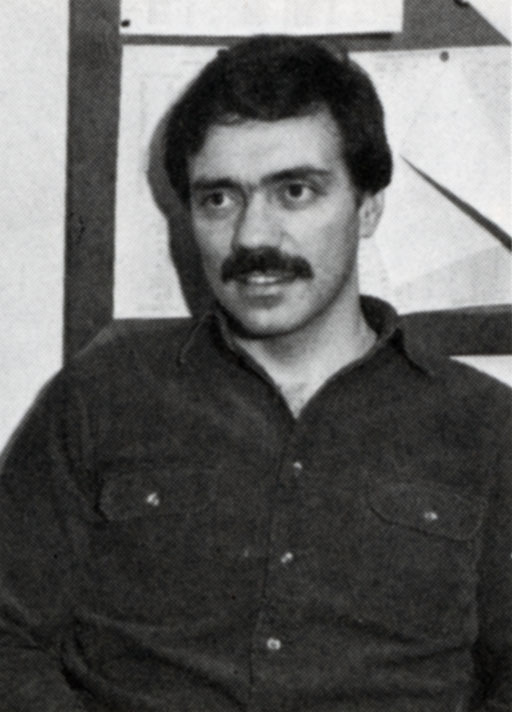 Dr. T.H. 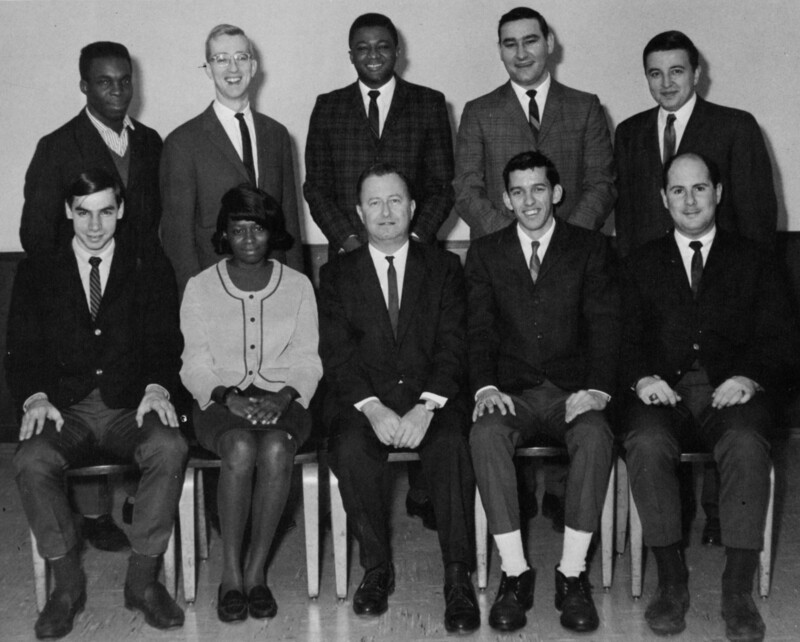 (Tony) Bonaparte becomes Bentley’s first black Vice President and the first academic VP to hold the title of provost. 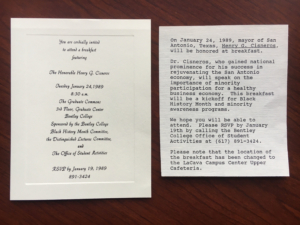 Bentley’s first celebration of Martin Luther King, Jr. Day. 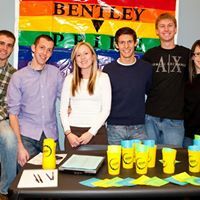 The BGLA (Bentley Gay Lesbian Alliance) is officially recognized by the Student Government Association. The Bentley Asian Students Association forms. Susan Schwab becomes Bentley’s first female vice president. 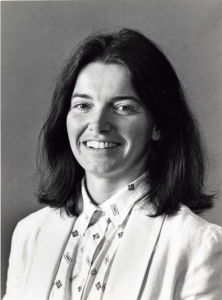 Dr. Patricia Flynn becomes dean of the Graduate School. 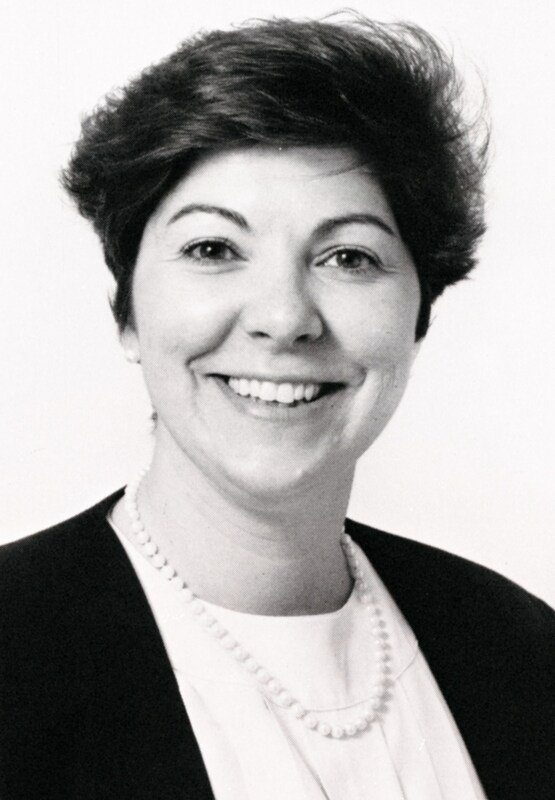 She is Bentley’s first female academic dean and was one of only a handful of female business deans in the nation. 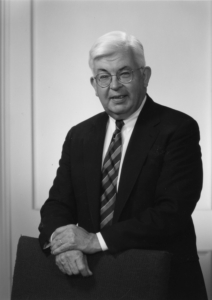 President Joseph M. Cronin commissions a task force led by Earl Avery to study campus diversity. 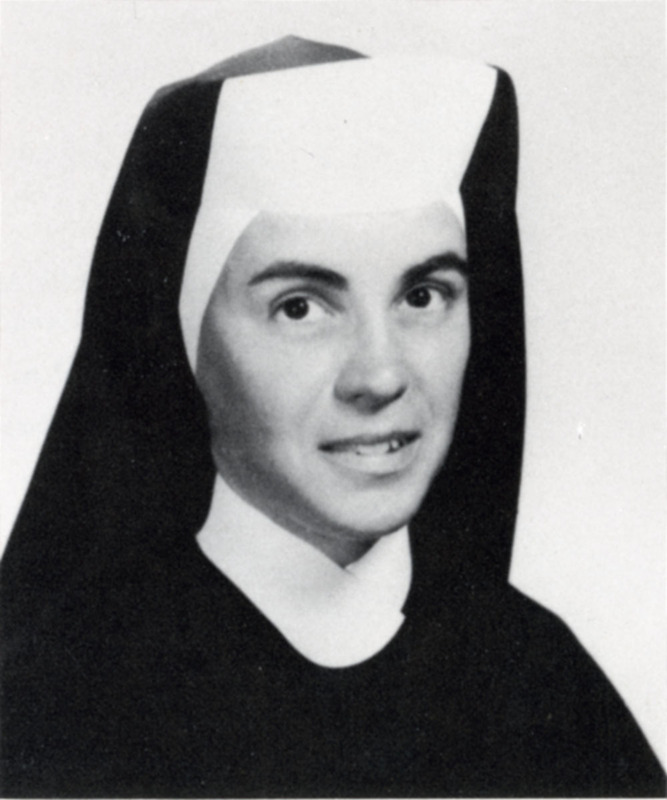 The task force initially focuses on race, nationality and gender, and later adds sexual orientation. The first off-campus Diversity Retreats for faculty and staff are held under the direction of the Diversity Task Force. 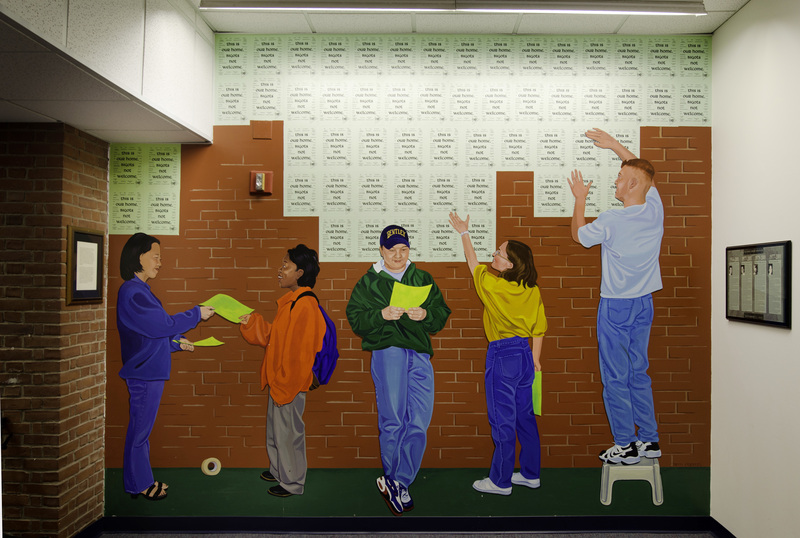 The Multicultural Center is established on campus. The SOAT (Sexual Orientation Action Team) is established. 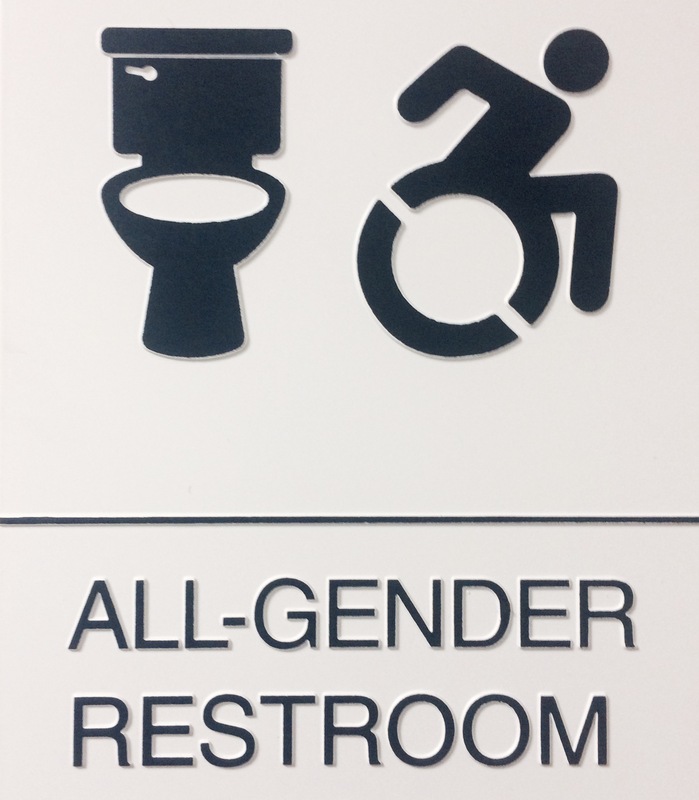 Faculty & staff are charged with improving campus climate for LGBT issues. 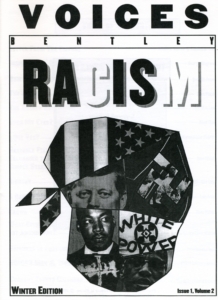 VOICES, a publication by students of color, is established. 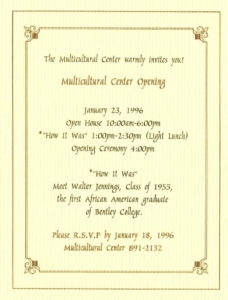 The Multicultural Center holds an Open House. 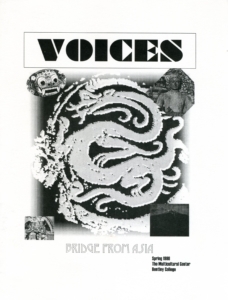 Asian students edit and write a standalone issue of VOICES, organized by country of origin/descent. 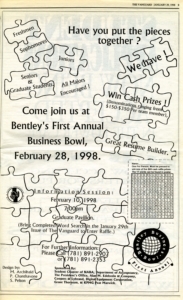 The first Bentley Business Bowl (sponsored by the newly formed National Association of Black Accountants (NABA) student chapter) is held on campus. 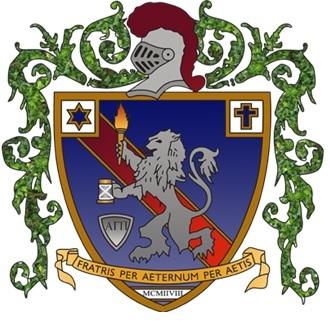 PRIDE Advisor position is created. 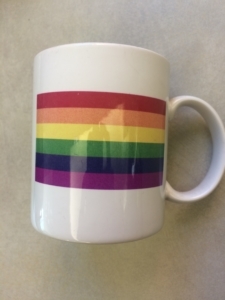 BGLA is renamed PRIDE. The 1st Annual Rainbow Breakfast is held. 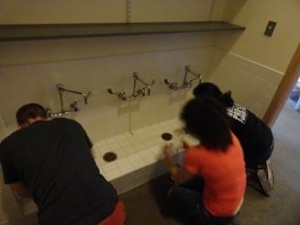 The new Student Center opens with a Sacred Space that includes a Wudu Room for foot washing for Muslim students, faculty and staff. 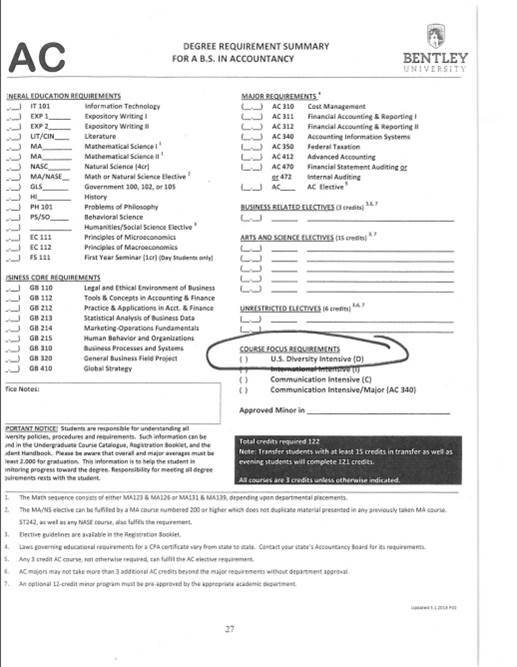 Diversity Intensive Requirement added to curriculum. 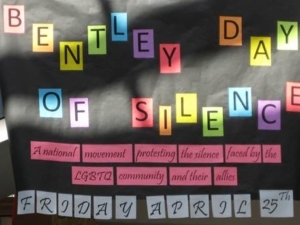 Day of Silence started by PRIDE. 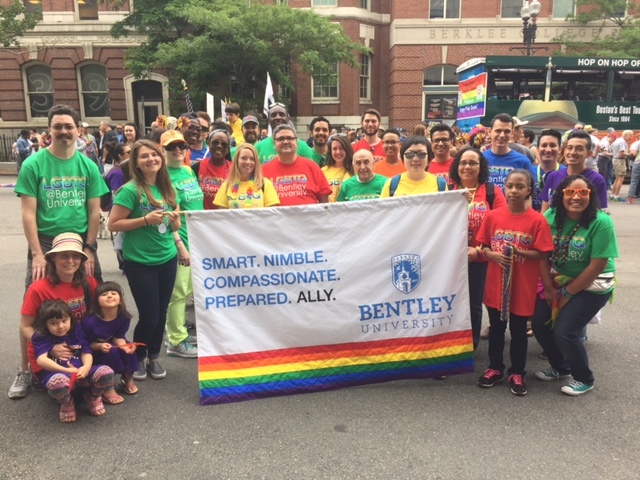 Bentley first marches in the Pride Parade. First Annual GLBTQ Alumni Reception/Mixer. Bentley modifies its non-discrimination/EEO policy to include gender identity. 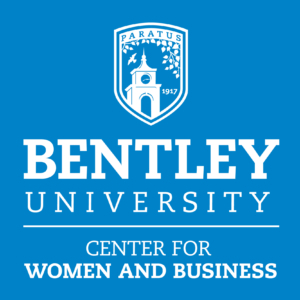 Bentley’s Center for Women and Business is founded. A Prayer Room is created in Lindsay Hall to better accommodate the Muslim community’s five times per day prayer practice. 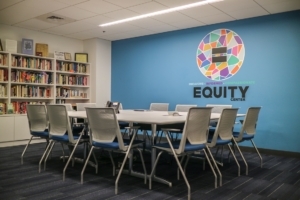 The Equity Center, a resource center and safe space, opens on campus. 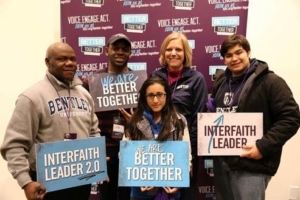 The Interfaith Student Council is formed. 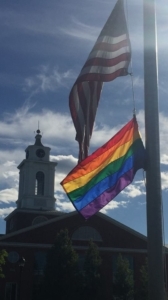 In response to the Pulse Orlando shooting, Bentley raises Rainbow Flag for the first time and pledges to raise it every June during Pride Month. 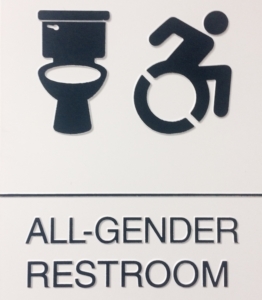 All-gender restrooms are available at Bentley. 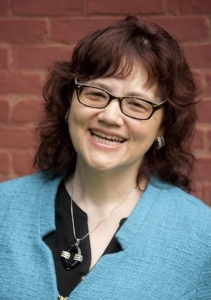 Donna Maria Blancero becomes Bentley’s first Hispanic dean. 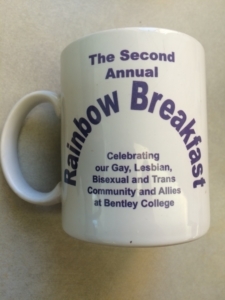 The Bentley Brave initiative is launched by the Office of Diversity & Inclusion.